I don't know where I've been, but I completely missed this story. This new promotion at my job has had me completely occupied that I'm coming to you all a month late on this story. I figure since I haven't heard it then there must be others like me who hadn't heard it either. Many of you may only know Rae Lewis-Thornton for great work when it comes to HIV/AIDS activism, but what many people may not know is that she is also a very avid blogger. You may recall on this very site when we reported that Delta Sigma Theta Sorority, Inc. have removed Mrs. Lewis-Thornton has an honorary member of their organization. Well, the source for the information was Mrs. Lewis-Thornton herself since she decided to share the information through her blog. For those of you who are readers of her blog, it should come as no surprise to you how candid she can be. She has a way of delivering an unfiltered truth that can be refreshing to some and nerve grating to others. One of those unfiltered truths she delivered was when she exposed the eight year (yeah I said eight years) affair of Pastor Charles Jenkins with one of his staff members, Mundi Griffin. 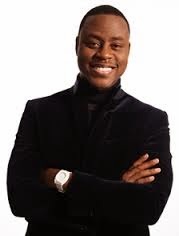 For some of you, this includes me, your only introduction to Pastor Jenkins is his song Awesome, but Jenkins is also a pastor of Fellowship Missionary Baptist Church that was founded by gospel icon Dr. Clay Evans in Chicago. Now Jenkins has joined the ranks of infamous as he become another member of a long list of pastors who have been involved in affairs. The affair was exposed when a naked picture of Jenkins (which was not taken by his wife) appeared on a blog. As a former member of Fellowship, Lewis-Thornton had access to plenty of the information surrounding the affair. She even interviews Griffin and post screenshots of text messages that were exchanged between Griffin and Jenkins. I will be the first to say that nothing about this thing is shocking to me. I have learned a long ago that people of the cloth are human and flawed just like the rest of us. Just because we hold them in high esteem doesn't mean all of them are worthy of such elevation. The allegation of Jenkins abusing his authority as pastor of the church is the most troubling part of Lewis-Thornton's exposé' to me. I feel that the affair is something that should be handle between he and his wife and in my opinion does not justify him being removed from the pulpit. Now this is just my personal opinion, but if he abused his authority then that is definitely a removable offense. Well check out the article and let me know what you think. It reads better than any Zane book I've ever read.